Ground meat pressed into the shape of a loaf, ugh. I know. But it’s an easy meal that you can flavor in a hundred different ways, so that you don’t get tired of it. 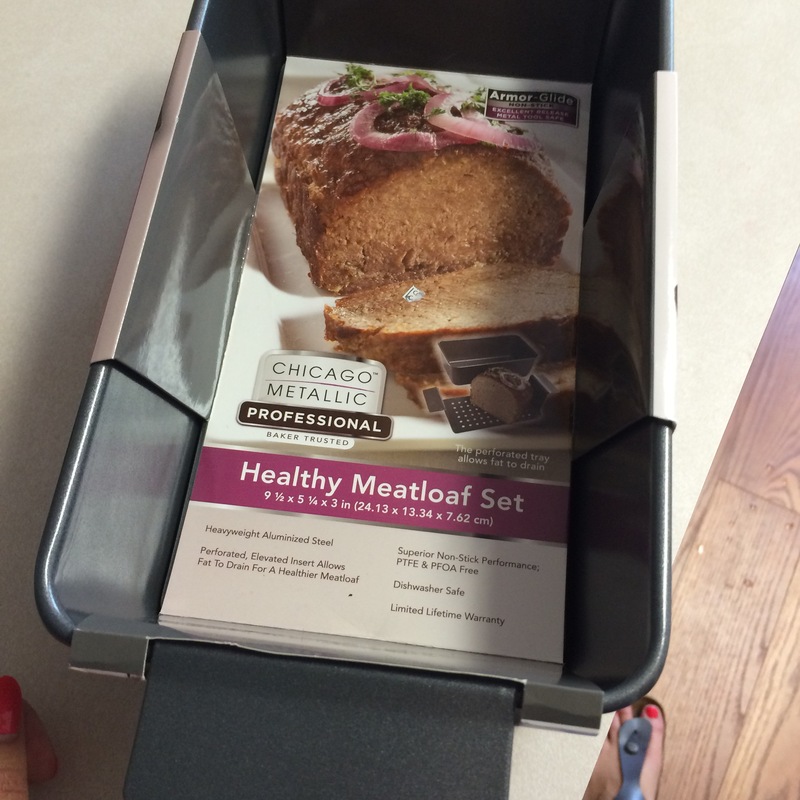 I knew that I wanted to make my meatloaf (even the word makes me cringe) out of chicken or turkey. 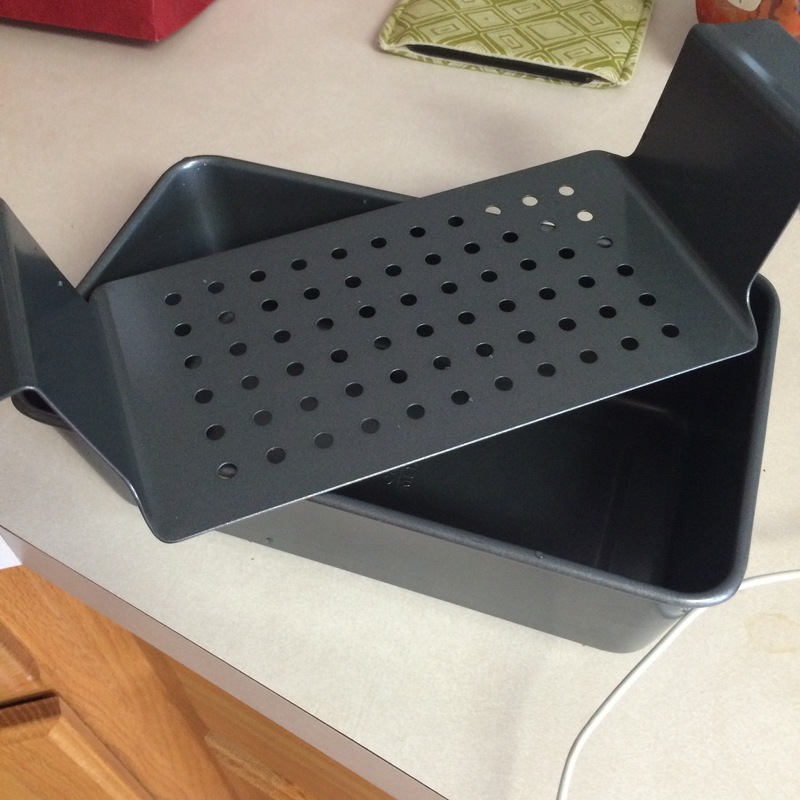 Plus can we talk about this super cool meatloaf pan I got at Bad, Bath & Beyond? It keeps the meat elevated so that any fat can drip out, which is caught in the same pan below. Whoa, pan science. 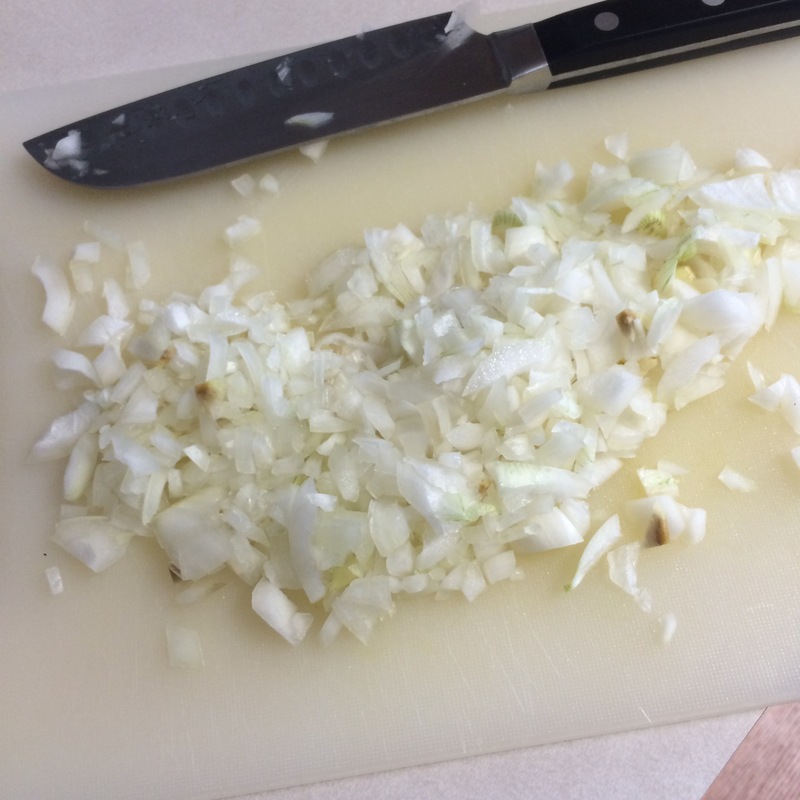 Cook onion and garlic in oil for 5 minutes, stirring occasionally. Place mixture in bowl in large bowl to cool for 10 minutes. 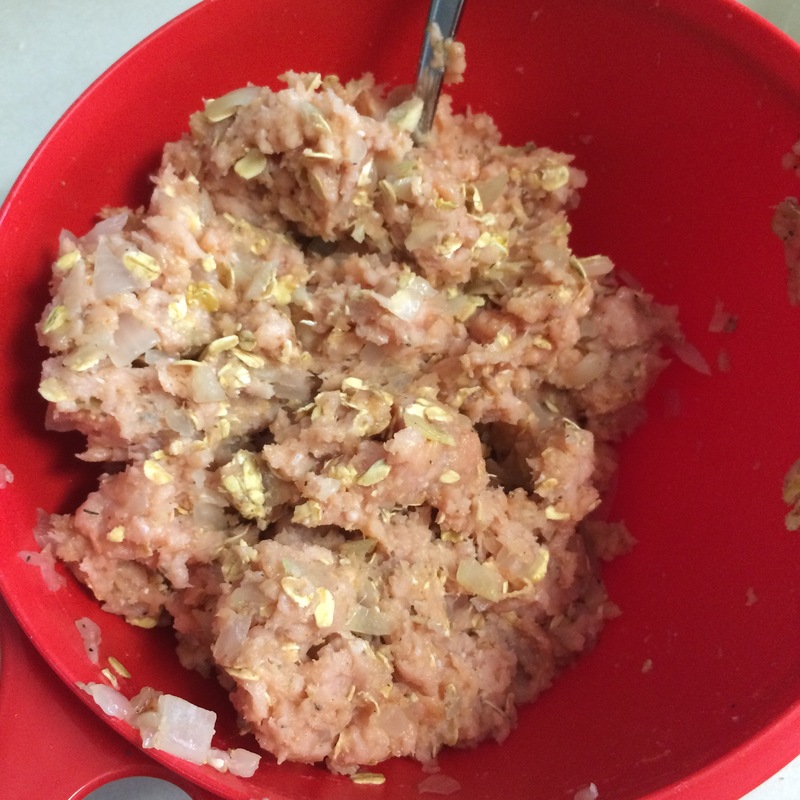 Add remaining ingredients to bowl, keep half of ketchup to side for top. Combine well. 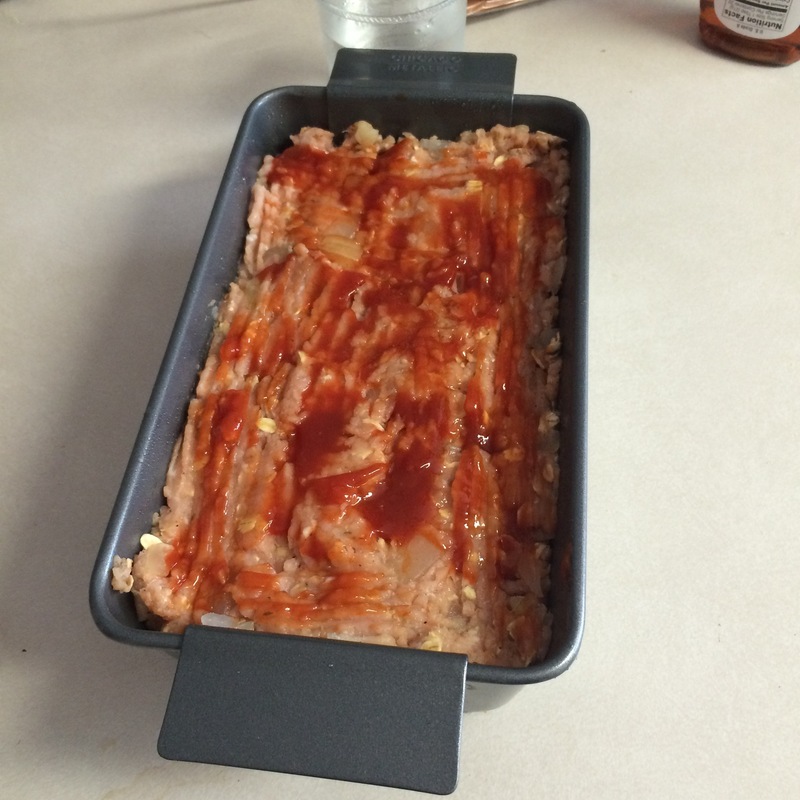 Press meatloaf into an 8×4-inch loaf pan, or your super fancy meatloaf pan. Spread remaining ketchup on top. Another variation is to do a southwest spices instead of the oregano and thyme. Here we would add Mrs. Dash salt-free chipotle southwest spice, salsa, liquid smoke (if you have it) and skip the extra ketchup on top! What other variations can you think of?